Cheetah3D 3.4 has been released today. 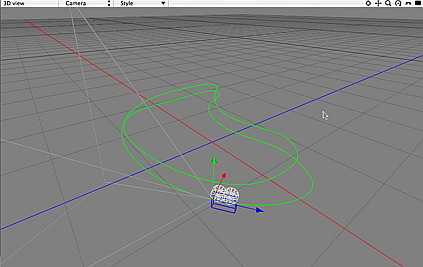 Version 3.4 adds many new features like animating objects along spline paths. This feature makes it extremely easy to create fly through animations or to animate a car along a road. With Cheetah3D 3.4 it is now also possible to drag and drop objects within the scene graph transformation hierarchy without changing it's global position. This makes especially the grouping of objects much easier. Another work flow enhancement is the possibility to lock the parameter values of each single object, tag or material. So if you are done with a object just lock it's parameters and you no longer can accidentally modify it. Last but not least this update seriously accelerates the OpenGL preview. Especially scenes with many small objects can render up to 10 times faster.